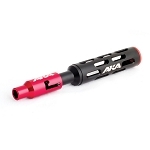 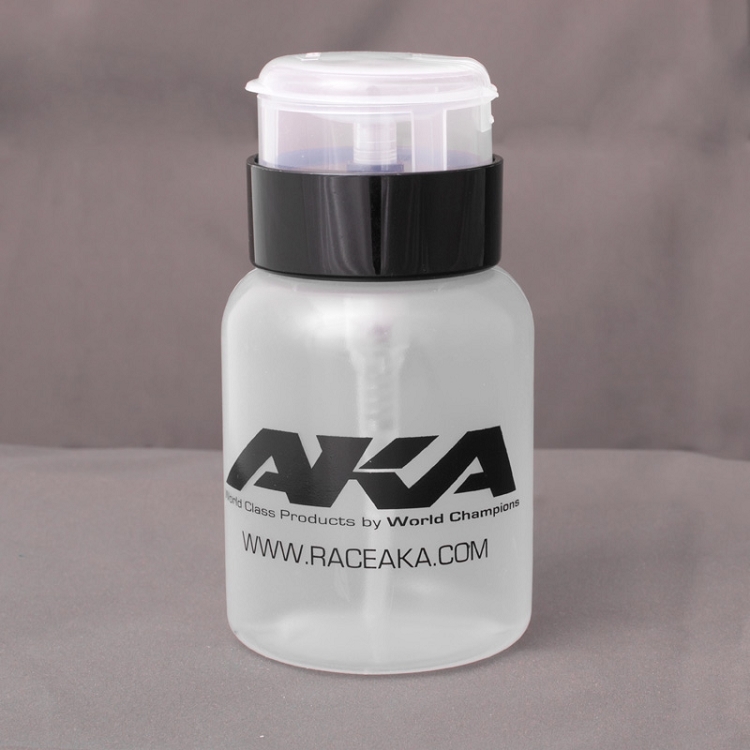 The AKA Mini Pump Bottle with Locking Cap is perfect in your pit for dispensing liquids such as, body cleaners, tire sauce, tire cleaners, etc. 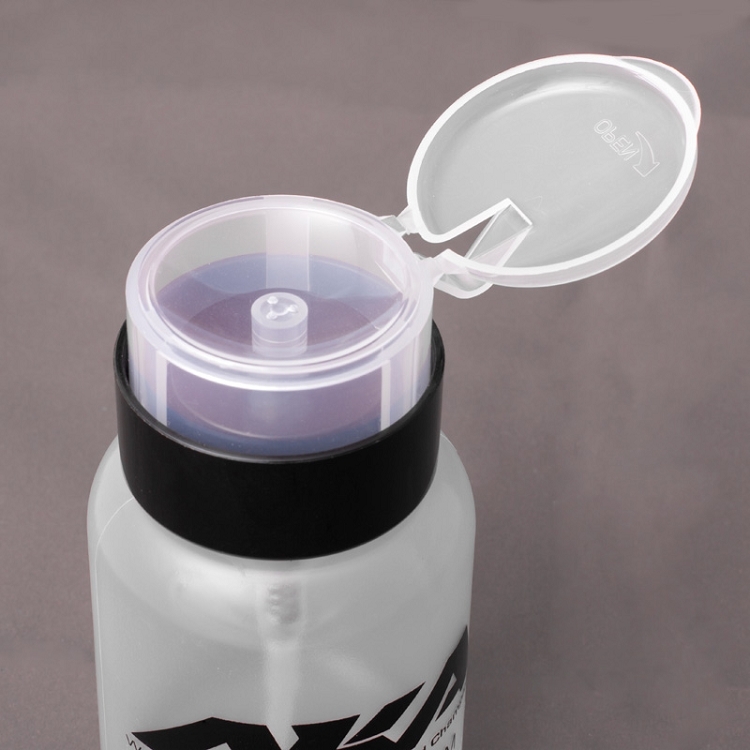 Pop the lid open, twist to unlock, and press down with a towel or cloth to dispense contents. 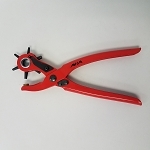 Works perfect for cleaning tire beads during the mounting process and many more applications. 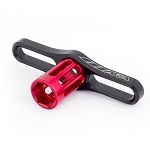 It is very usefull and of good quality.